This article provides an outline of procedure 1 – laryngoscopic examination. It is essential that anyone presenting with a voice disorder has their larynx and vocal tract examined by a suitably qualified clinician. In the UK this is typically undertaken by an Ear Nose and Throat (ENT) Surgeon, although increasingly this is carried out jointly with appropriately qualified speech therapists. The examination is important to obtain a detailed picture of laryngeal structure and function: any laryngeal pathology (vocal nodules, polyps, vocal cord swelling, tumors, etc.) can be either identified or excluded as a potential cause of difficulty. Any lesions/damage to the vocal folds (vocal cords) or vocal tract can then receive appropriate treatment. In some cases, the appropriate treatment may be surgical intervention (e.g. to remove large polyps), speech therapy (e.g. to reduce the size of vocal nodules through improved vocal technique), a combination of both or, of course, nothing (e.g. if the difficulty is mild, of brief duration and likely to resolve itself quickly). If someone has been experiencing a persistent sore throat which does not resolve itself with normal common-or-garden remedies (e.g. rest, drinking plenty of water, taking cold remedies) after a period of two weeks the person should consult their doctor for an opinion. Similarly, the person should also consult their doctor if they have been experiencing vocal tract discomfort for two weeks or more. This would include sensations of burning, soreness, tickling, and irritation – which may suggest inflammation of the larynx – or excessive aching and tightness around the larynx, or a sensation of something in the throat (known as globus). A small mirror on a handle is placed against the client’s soft palate, angled so that the vocal folds can be seen from above. They can be viewed when at rest and when moving – the person is asked to produce a continuous vowel sound (typically ‘ee’). This examination is usually tolerated well by most clients, although those with a particularly sensitive gag reflex may find it a little uncomfortable. Also, the tongue needs to be held down during the procedure. The clinician uses a piece of gauze to pull the tongue down and slightly forwards. Again, some people may find this a little uncomfortable but the examination is usually quite quick. This method is easy to administer and it is cheap. However, the images are small and there is no permanent record of these (i.e. no camera is used). Also, the vocal folds cannot be viewed during normal speech, as the mirror in the mouth prevents this. Moreover, the presence of the mirror in the mouth affects the way clients phonate vowel sounds – there is a tendency to alter the shape of the vocal tract to accommodate it. This is similar to mirror laryngoscopy in that the instrument is also placed into the client’s mouth towards the back of the throat. In this case, however, the handle incorporates an angled lens which sends images of the vocal folds to a camera. 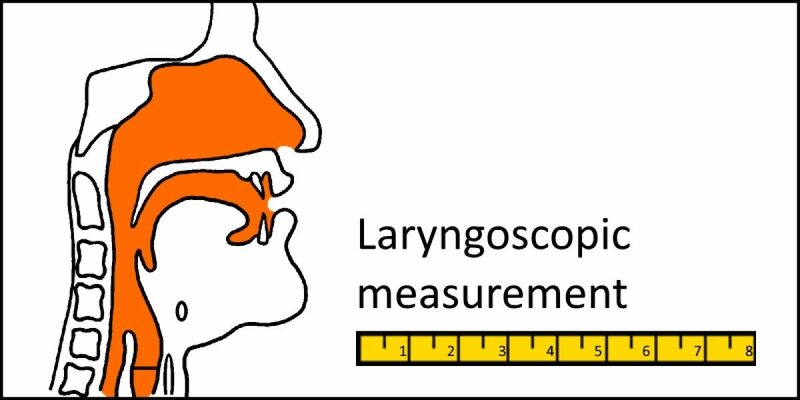 This method provides a better image of the vocal folds than the mirror technique but, as with mirror laryngoscopy, the vocal folds can also only be viewed at rest or when phonating vowel sounds. There is also the same tendency for the client to subtly alter the shape of the vocal tract in order to accommodate the bulk of the endoscope in the mouth when asked to phonate vowel sounds. An advantage over the mirror method, of course, is that the images can be saved to a computer and enlarged for viewing. A narrow, flexible, fibreoptic cable with a camera attached is inserted through the nose to a position at the back of the throat just above the vocal folds. Unlike mirror and rigid techniques, because there is no instrument in the mouth, the vocal folds can be observed at rest, when phonating vowels and now during normal speaking. It is usual to use a local anesthetic spray to minimize any discomfort. There are few disadvantages to this technique other than clients feeling that they may not be able to tolerate the method. In practice, however, with careful explanation of the procedure, and a thoughtful and skilful clinician, most clients do tolerate this well. An obvious advantage over mirror and rigid techniques is that the vocal folds can be observed during normal speech – even singing. Images can also be saved digitally to a computer for subsequent viewing/processing. This is carried out under general anesthetic and is typically used when the clinician needs to examine any obvious laryngeal pathology in greater detail and perhaps take a biopsy of the tissues. A rigid laryngoscope is inserted into the airway (it can be placed above and below the vocal folds) and the tissues are examined through a microscope. Because the client is unconscious the clinician cannot, of course, examine vocal fold movement during phonation of vowels, speaking or singing. If necessary, images could be taken/saved by placing a suitable camera onto the examining microscope. The vocal folds vibrate so rapidly that it is not possible for the human eye to see (resolve) individual movements. Consequently, rigid endoscopes and flexible nasendoscopes can be fitted with stroboscopes which allow the vibratory cycles of the vocal folds to be viewed as if they have been slowed down or made to stand still. A stroboscope emits flashes of bright light. The frequency of these flashes can be synchronized with the frequency of vibration of the vocal folds. When the frequency of light flashes is the same as the frequency of vibration of the vocal folds then the vocal folds appear to stand still. They can be ‘fixed’ at any stage in the vibratory cycle (fully adducted, fully abducted, partially adducted, etc.). If the flash frequency is lower then the frequency of vocal fold vibration then the vocal folds appear as if they are moving in slow motion and the full phonatory cycle can be observed. The images are typically stored digitally on a computer. Far fewer children than adults present with voice disorders. The incidence figures vary from country to country and they are influenced by such things as gender (more boys than girls experience difficulty) and social environment (more children in urban environments experience difficulties than children in rural environments). In my own voice clinic, out of a cohort of 968 people referred, just 34 of these were aged between 2-13 years, i.e. 3.5%. The most common voice disorder in children is hyperfunctional voice disorder caused by vocal abuse (e.g. shouting, screaming in the playground, excessive singing or humming). Persistent vocal abuse can lead to vocal nodules and other changes in the vocal folds. As with adults, however, it is still necessary for the child to undergo laryngoscopic examination before any voice therapy program is introduced. Parents may be anxious about their child undergoing this procedure. Often, however, children tolerate rigid endoscopy and flexible nasendoscopy well. The rule of thumb is to take everything calmly and slowly, explaining each step and allowing the child to become acquainted with the equipment and not to feel threatened by it. Children will typically enjoy viewing things through the endoscope cameras – their hair, shoe laces, the buttons on mum’s coat, etc. Owing to the need to use general anesthetic, direct laryngoscopy is used rarely with children.